Trevor Lucas sings on this song about Australia's most famous outlaw. It appeared first on the Fotheringay album, but was also released as a single with the B-side Nothing More. 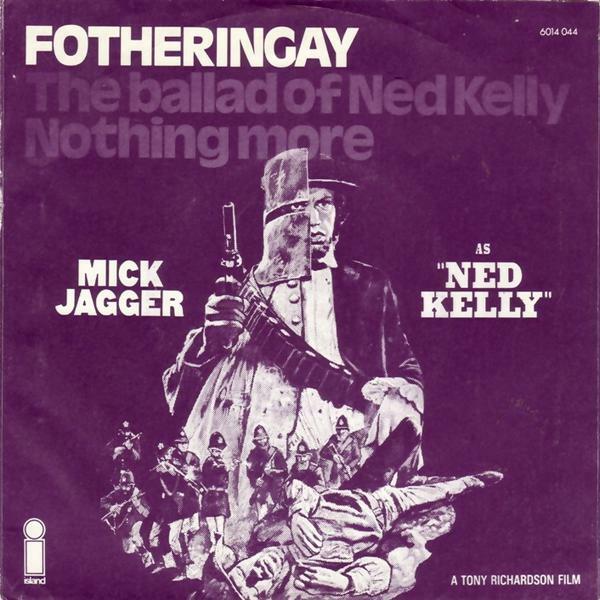 It was also used as title track of the Tony Richardson movie Ned Kelly starring Mick Jagger; see the back side of the single cover (above right). There is another version from Fairport Convention on their Nine Tour in 1974 with lead guitarist Jerry Donahue on the Sandy Denny & Trevor Lucas cassette The Attic Tracks Vol. 4: Together Again and on The Attic Tracks CD . Another live recording from April 1974 at Clark University, USA, with Jerry Donahue singing lead and Sandy and Trevor singing chorus is one of several bonus tracks on the 2002 CD reissue of The Airing Cupboard Tapes . The song was later picked up by Adelaide's Redgum and included in an album and in their live set, somehow attracting a myth that it was a traditional bush ballad. Trevor put the band right when he became their producer but since those days every Bush Band in Australia has had a crack at the Redgum arrangement (and it's all wrong!). 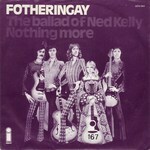 Compare to this ballad A.L. 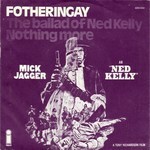 Lloyd singing The Kelly Gang on his album First Person .